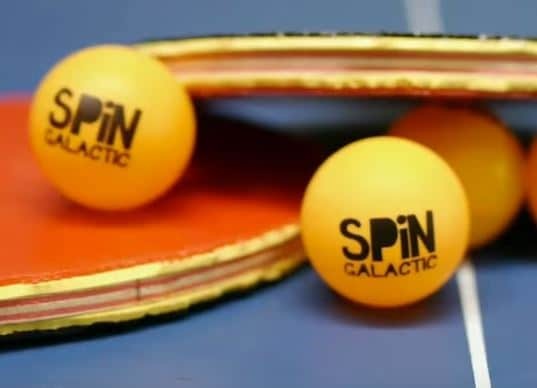 One of the many things that any aspiring table tennis player must learn in order to become a very good player is the many kinds of table tennis equipment that is used. Basically, there are four pieces of equipment that are used and that include: the ball, the racket or paddle; the table and the net. The ball that is used in the game is a 2.7 gram, small celluloid ball that is usually colored white or orange depending on the preference of the players. They can come in different qualities with those possessing 3 stars being the best kind and is often recommended especially to those who are just starting up. Also, they come in a range of sizes from 38 mm to 54 mm in diameter. 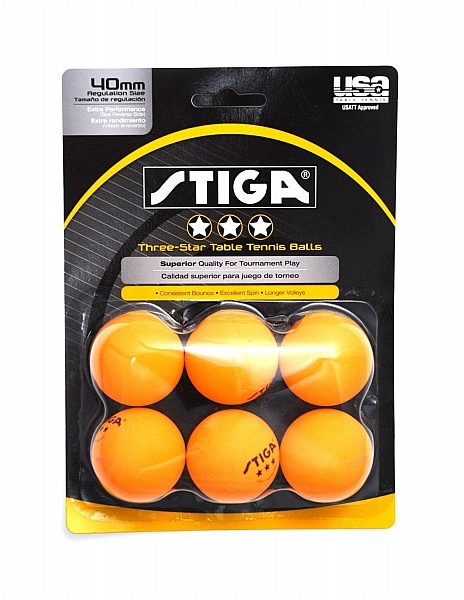 However, the 40 mm diameter ball is the one that is used mainly on international leagues and competitions as it is the one that is specified by the International Table Tennis Federation of ITTF. The table tennis racket or paddle is another important piece of equipment that is used in hitting the ball back and forth on the table. Its shape is similar to the ones used in the game of tennis except that it is smaller and is made of different materials. The racket is usually made of wood and rubber and is divided into two parts: the handle and the blade. The quality of both of the parts of the racket can affect the force that can be applied by the player and it is important the player choose the best kind of rackets in order to really improve. Aside from that, the player must take notice of the kind of rubber that is used on the blade as this can affect the type and amount of spin that can be used in hitting the ball. 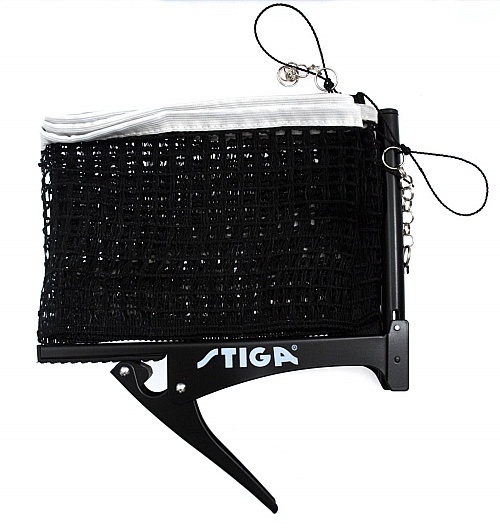 Rackets are available in pre-made as well as customized conditions. All beginners are recommended to acquire the pre-made ones in order to avoid the confusion of making customized ones. However, they must be sure to buy from reputable table tennis stores or sport shops, or online table tennis stores. Included in the list of important table tennis equipment is the table where the game is to be played. The ITTF specifies that the official table tennis tables that are used in the tournament must be 9 ft long, 5 ft wide and must be placed 30 inches high from the ground. They come in either green, blue or black in color and are usually made from a type of hardboard. The surface must be smooth as to provide the lowest friction as possible. The net which is the last piece of important equipment is usually brought together with the table or with the rackets or it can be bought by itself. Whatever the case, it should be six feet long and six inches wide and has an upper white tape that is not more than 15mm wide. Also, it should include an assembly so that it can be attached to the middle of the table tennis table. These are the four basic types of equipment that any aspiring player must be familiar with. All of these are necessary in order to be able to play a game of table tennis. There are still other types of table tennis equipment for table tennis that must be learned such as shoes, clothing, and accessories. However, these are optional and can be readily availed later on. The noble art of table tennis is often overlooked in favor of other feats of athleticism like baseball, football or soccer. However, table tennis can be just as challenging and competitive as any other sport. It can also be a fun way to unwind and work on hand-eye coordination and reflexes. Whether you are trying to be the next table tennis pro or just having a good time, the right table tennis equipment is necessary. No one starts out with lightning fast serves and precision aim. Therefore, getting the right training equipment to help in improving your playing skills will be very important. Using higher quality balls and table tennis paddles are easier for beginners to wield as they get used to the game. Buy professional paddles and balls with higher rankings to get the most power and flexibility while learning. Many other products like the sensible return board or wild robot are available. Hitting balls against the return board send them flying back and allows you to practice consistency. Table tennis robots also exist to help players have fun solo or learn to return serves. Anyone who is remotely familiar with table tennis knows the name Butterfly. They are the source of the finest players and products in the table tennis world. Butterfly table tennis accessories use advanced technology to engineer the finest tables, balls, paddles and more. They have products to fit any need you may have like playing outside, using the same products the pros do, joining clubs, and more. Butterfly is available to outfit you with the proper shoes, cases, and other gear. They also help if you would like to advance and join tournaments or attend classes. 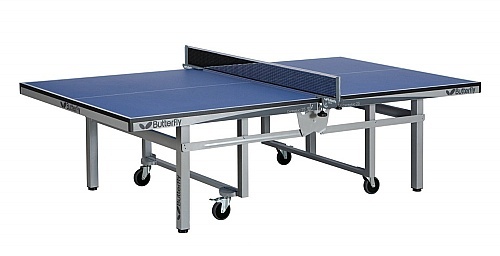 The variety of Butterfly products ensure that you can find exciting and practical types of equipment for table tennis to add to your collection. Whether playing as a hobby or professionally, buying the necessary sport-related equipment and accessories does not have to ruin your budget. 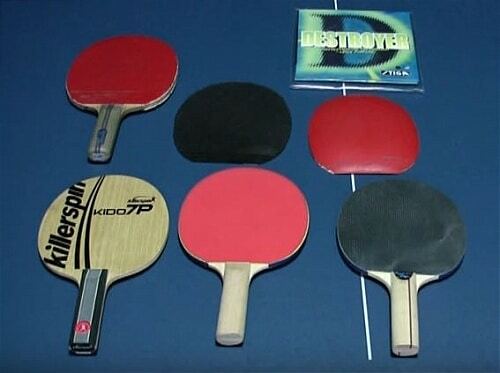 Cheap table tennis equipment is available at many online locations. Butterfly and other retailers may also run sales or supply older or used merchandise for reduced prices. Those who love table tennis can still get the same enjoyment from the game while playing with inexpensive accessories. Volley back and forth with friends, or serve like a maniac with the proper table tennis equipment. Using the right products allows for hours of entertainment or big dreams. Table tennis becomes more and more popular today. Even those who have no clue how to play it can be easily taught. The rules are not so difficult to understand. Everything can be learned while practicing this game and following personal reflex. Moreover, now table tennis became one of the social activities. An interesting fact is that table tennis at first was created as a game only for entertainment without considering it as a competition. In the year 1988, this kind of game was included in the list of Olympic kinds of sport. The key reason for this popularity is mental sharpness. It is enough to check its rules on the internet or on DVD to be in the game and to know useful tips and strategies. That is why if your or any of your friends or relatives decided to start playing tennis it is required to buy all the necessary equipment. As a rule tennis tables have their standards, the size of a standard table is 9×5 feet, there are three possible colors: green, black or blue. The ball should be 40 millimeters in diameter. It should be lightweight and made of plastic. Rackets also have several peculiarities, for example, rubber covering is a must, because it prevents tennis balls from spinning. They should be covered with rough rubber on both sides. In order to master your techniques and to become a good player, you can buy a special DVD. 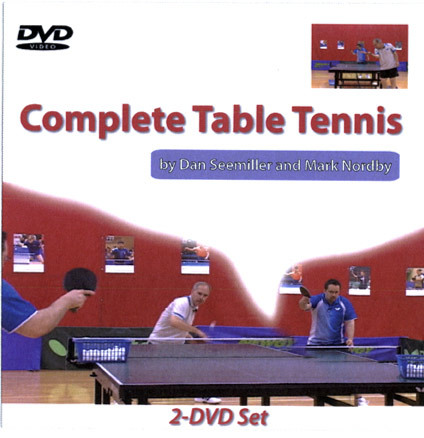 There is a great variety of such DVDs that offer their own instructions and strategies. Very often different professional players of table tennis give their master-classes and describe their techniques step by step. It is really cheaper than hiring of a personal coach and paying for an individual lesson. Or there is one more alternative method- you can practice table tennis as an outdoor activity with your friends. During this process, you will definitely master your techniques and will get pleasure at the same time. Table tennis is useful both for your physical and mental conditions. It improves your coordination and the speed of reaction and does many other useful things. Ping pong is a very breathtaking game for people of all ages. It is a piece of cake to learn the rules and start practicing it. If you want to know how not only to play and not to break the rules ping pong but how to improve your game this article is for you. One of the keys to success in this game is your coordination, quick reaction (your reflexes) and quick thinking. But unfortunately, it is not enough if you want to advance in this game. One more thing that needs to be done is the equipment. It should e bought according to the standards that are required for this game. The first step is purchasing a paddle. First of all, you should know that a paddle consists of three elements: the blade, the handle, and the rubber. You should buy a new paddle which of better quality so that you will be able to give additional power at the time you make a shot, by these means you will increase the overall control, accuracy, and at the same time put more spins on the ball. There is one important condition for ping pong paddles–they should have black rubber on one side and a red one on the other. You also should keep in mind that the ball should be of orange or white color and new ITTA rules suggest that the official ball should be 40mm in size. While choosing a blade, you should look for one with a handle type that best suits your grip type. Try to go for the blade that has handles that feels good and comfortable to you. There are many handle types available but as a person who is going to purchase his or her first paddle, just settle for one that is comfortable to handle. If you want to have good protection for your paddle, you should buy a ping pong case. It will protect your paddle and keep the rubber clean. By the way, after a game, it is necessary to clean your ping pong paddle. It can be done with special water-based rubber cleaner. This cleaner can be purchased in any local store of sports goods. Once you get yourself to follow all the rules that I share with you, you will be able to prolong the service life of your equipment. Here are some of the tips which I find can be useful for you when going with your table tennis equipment. Hope you will find this is useful for you. When the temperature rises the top sheet expands and becomes more elastic. This effect will give you a significant amount of feel, spin, and speed. Before your practice or game, just put your paddle under your tracksuit and start rubbing it gently. After 5-10 minutes of rubbing the rubbers are more “alive” and ready to play quality shots. Make a comparison between cold and warm rubbers and you will see the difference. Tacky rubbers can last very long if you treat them right. After your training/match is over, apply 4-5 drops of water (or sweat!) to your rubber and clean it gently with a piece of cloth. Dust particles stick onto the surface of rubbers making them less tacky. After you clean it, put a plastic sheet (not a sticky one, it will damage your rubber) and put the paddle in your case. Tackiness rejuvenates with water or sweat but diminishes fast if the rubber stays dirty for a long period of time. You can find it here. All other glues even the ones from famous table tennis companies are no match to tear mender. 4. Observe the sole carefully! In the first picture, the sole of the shoe does not tie up covering the heel. After a few training sessions, the sole will gradually detach and the shoe will be worthless. In the second picture though, the sole is covering up the heel creating a strong bond. It is something almost nobody notices, but it will save you money. I have shoes like the one in the second picture and after 1.5 years of training, they still play like new. The “dryfit” materials for sports clothes are highly effective in removing moisture away from the body. They are very light and comfortable and protect you from injuries. Training for 2-3 hours wearing a cotton shirt & short can cause you problems. They absorb sweat, making them a lot heavier and when the sweat cools down, your muscles will become stiff because of the low-temperature moisture. After a long period of training, your whole body will ache and there is a high possibility of injury.